Wideslab flooring comes in 2415mm wide sections. Our slabs are pre-stressed. There is steel strand at the bottom of the slab which is stretched and held in place until it forms a bond with the concrete in the slab. Once this occurs the strands are released. The tension in the strands pulls the slab together, causing the slab to act upwards creating a slight camber (bow). This strengthens the slab against the downward service loads which act on the floor once it is in place. Our 150mm slab can be used as a finished slab when using underfloor heating. (Fig. 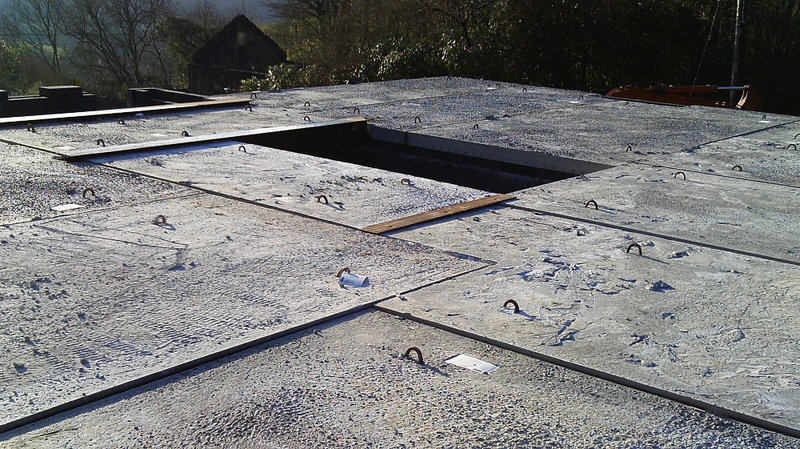 A) Insulation can be placed directly onto the slab surface, and then heating pipes and screed placed directly onto the insulation. 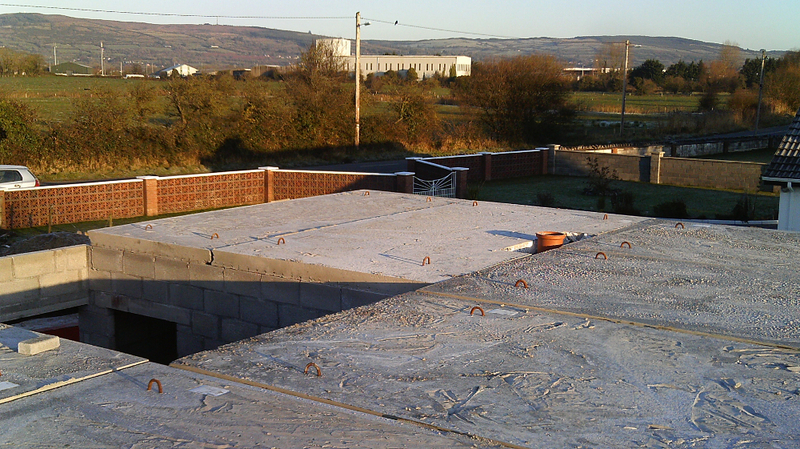 No added expense as there is no requirement for a structural screed to be poured and cured. Our wideslabs are 2415mm wide. This will lead to fewer slabs which will mean less time grouting the joints. This is compared with other forms of flooring which comes in much smaller widths. Our slabs provide 1 hour fire protection as standard. Our wideslabs are 2415mm wide. This will lead to fewer slabs which will mean less time placing. Unlike other forms of flooring which come in much smaller widths. Reduces noises travelling between storeys. 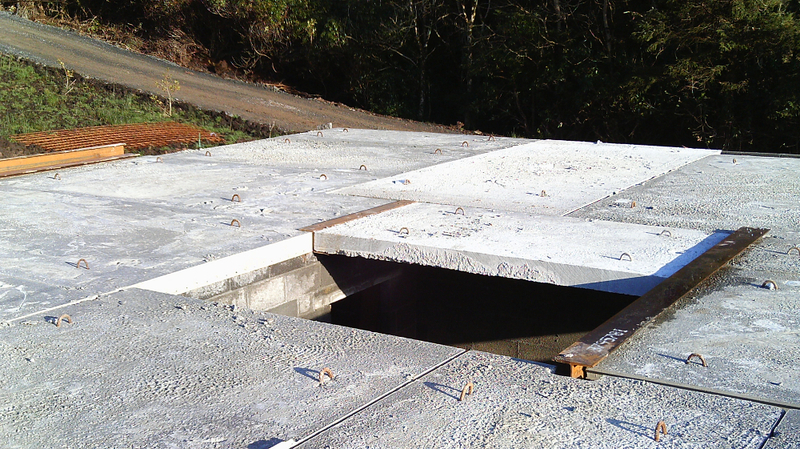 We manufacture all our slabs to withstand and hold a compressed anchor or drilling system fixing. This ensures a permanent fixing for a lifelong ceiling. 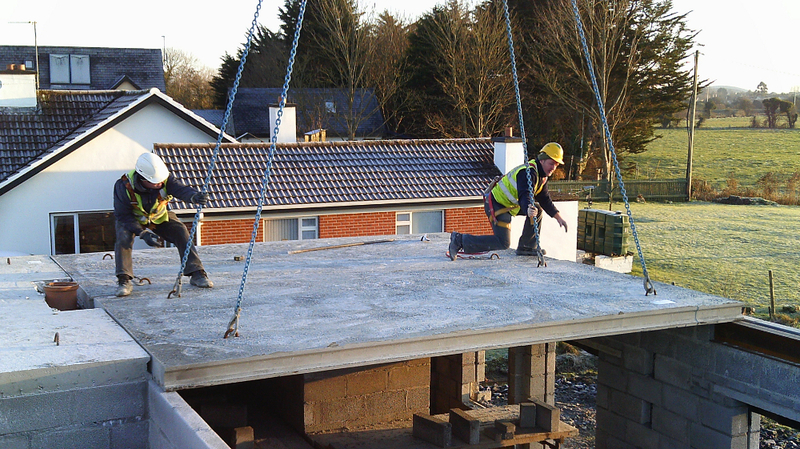 With our 150mm wideslab unit; once the slabs are placed, they will provide a safe working platform for the subsequent follow on trades straight away. No waiting for a structural screed to cure. Joints between the slabs are to be grouted after installation and before screeds are placed. A minimum 30N/10 grout/concrete with 3 parts sand to 1 part cement is to be used.